1.2 What is the best table saw today though? A table saw is an essential acquisition for a woodworker and it’s the most versatile and productive machine in the area of woodworking. It can rip, miter-cut, cross-cut, apply shapes to edges and more. 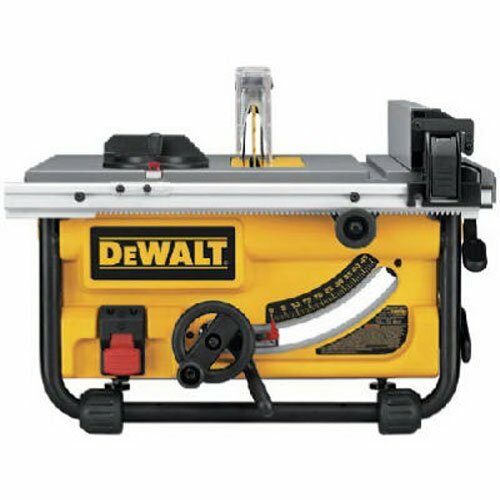 With the huge variety of types, features, sizes, weights of table saws available on the market, you can easily get overwhelmed and confused. Choosing the most appropriate table saw for the perfect features for your needs depends mainly on your projects. What is the best table saw today though? Let’s get down to it then, what are the best table saws? 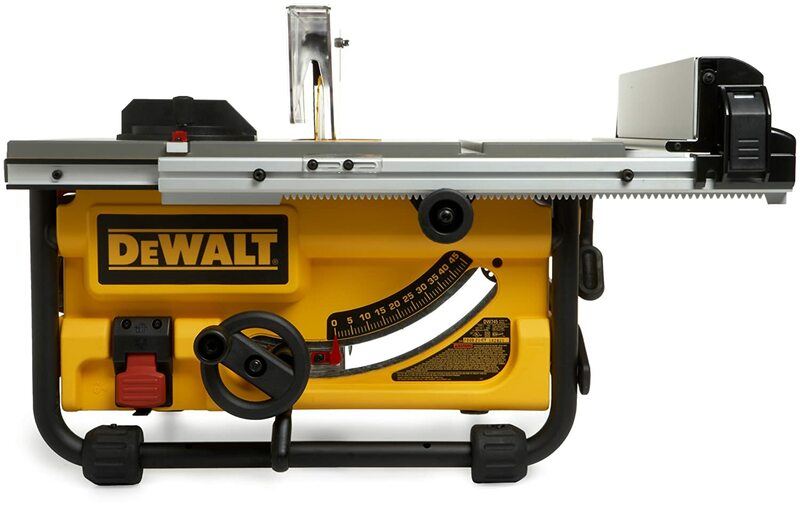 Below are the top 7 best table saw around at the moment. We’ve compiled our list from the best of 2017, 2018 as well as anything new that’s in 2019 so far. The DEWALT versatile 10-inch table saw provides accurate and quick cuts, and it comes with all the necessary features to help you get the job done right away. 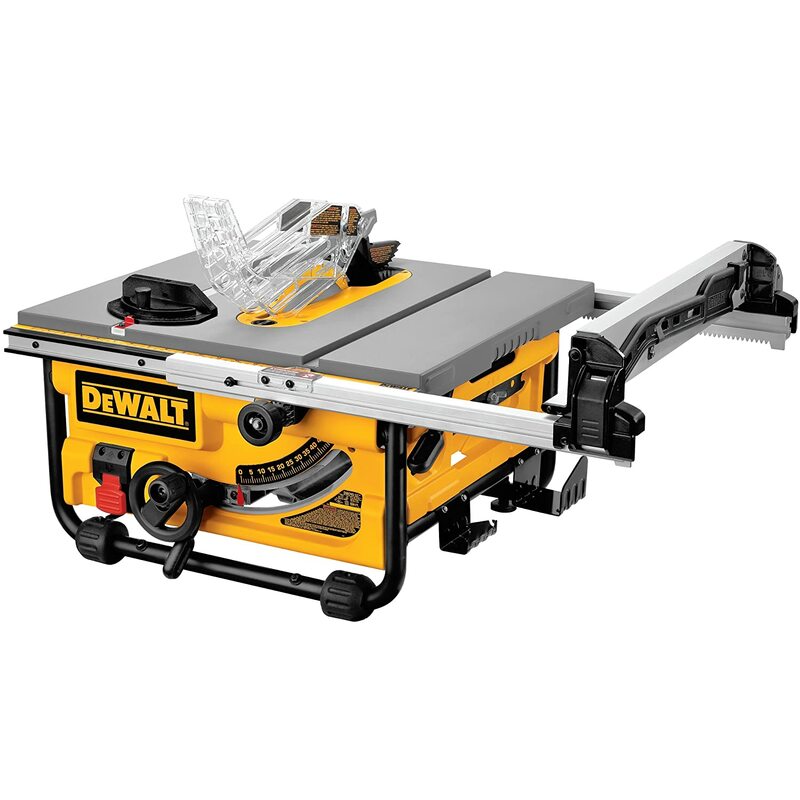 Thanks to a 15 amp and a high-torque motor, this table saw manages to deliver the accurate power for all kinds of tough projects including cutting hardwood and pressure-treated lumber. Another useful feature is that the saw’s blade spins at a 3,850 rpm to offer a clean cut. Other essential features include a convenient guarding system and a portable design so that you’ll be able to use it anywhere. The essential pros of this table saw are its large rip capacity, robust power and consistent performance for smooth and accurate adjustments. The one con with this table saw is that it does not use a three prong plug as other saws use, but instead it uses a double insulated two prong plug. This doesn’t affect the quality of its features at all. This bundle includes two items: a rolling saw kickstand that allows the stand to balance upright for mobility and a portable table saw with optimized footprint. One of the most significant features is the lightweight design of the saw stand and the possibility to quickly connect the stand brackets to the saw. The broad stand base provides enhanced support and stability for material feed control. The steel roll cage protects the saw against potential damage. The included accessories manage to make this saw extremely user-friendly. The most important pros featured by the bundle include an accurate and precise use, high performance in all plications, portable design for cutting larger materials and the overload protection system that ensures powerful performance. The con of this table saw is its quite short legs, but you can get used to that after a few uses. 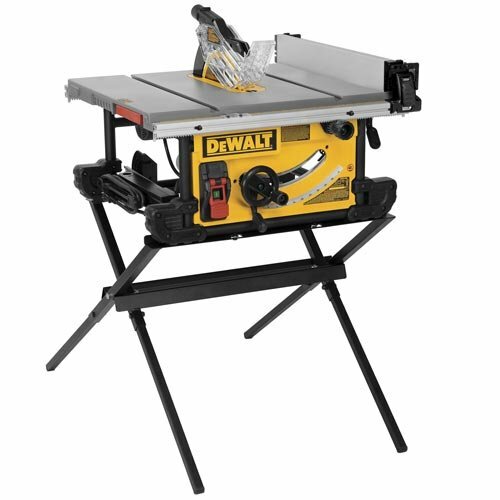 This jobsite table saw comes with a 10-inch 24-tooth carbide blade, a rolling stand, a push stick, and a miter gauge. The tool is targeted at cabinet installers, hardwood floor installers, trim carpenters, deck builders, remodelers and more. 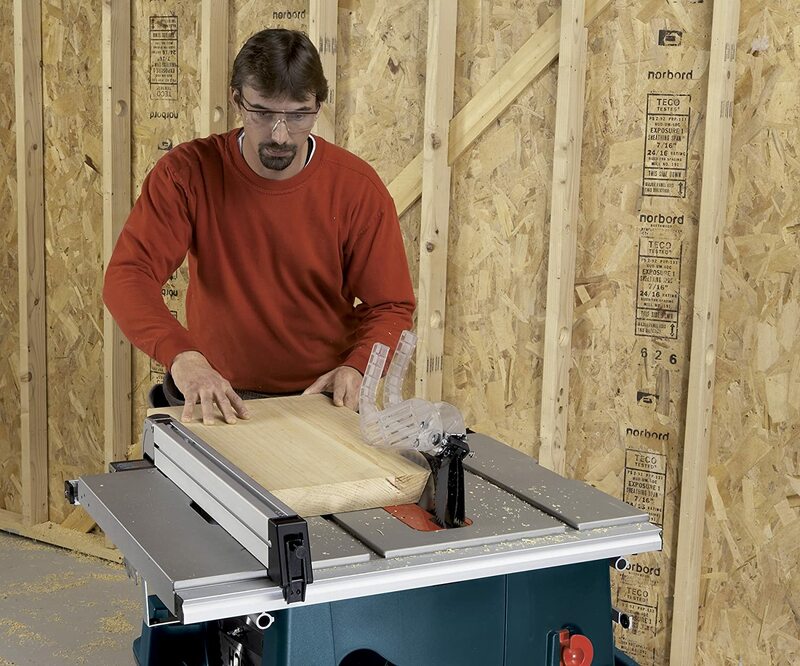 The table saw provides increased functionality and portability. It also features a rack and pinion fence system, and this makes the fence adjustments very fast, accurate and smooth. The telescoping fence rails can easily extend and retract as well, and this results in a portable package. You will be able to make narrow rip cuts with the help of the flip-over ripping fence. The rolling stand can be effortlessly set up and breakdown with enhanced stability. The most notable pros of the product are a great depth of cut, efficient dust extraction, superior material support and the onboard storage system providing easy access to the components. A con worth mentioning is the plastic covering on the legs because it can cause issues on raw concrete, but this will probably not be a problem if it’s used on dirt. 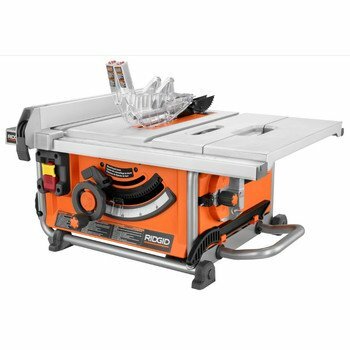 The small job site table saw comes with a site-pro Modular Guarding system and it’s best suited for portable table saws and woodworking. A great feature is that you can make adjustments really fast, accurate and smooth with the help of the rack and pinion telescoping fence rails. It can quickly cut various large shelving and trim materials, so it’s very versatile and you will be able to use it for all kinds of projects. It provides greater durability than plastic bases due to its metal roll cage base. The table saw is lightweight, and you’ll be easily able to move it around. The essential pros include the fact that it’s lightweight and compact for easier portability. It also provides reduced friction and smooth cutting for all your needs. A notable con of the table saw is its dust port because it could have worked better to catch the sawdust, but it manages to eliminate most of it anyway. The saw blade could have offered more precision, but the cuts are fine for most needs. 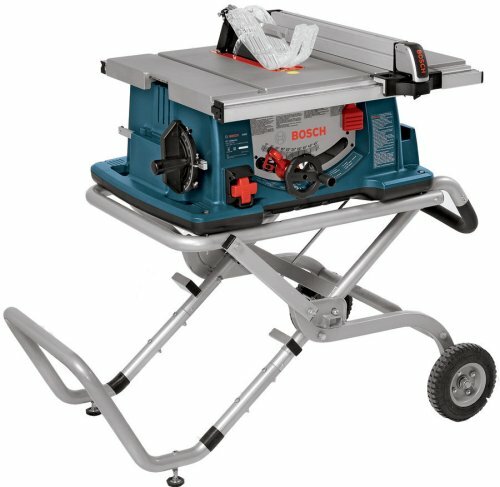 The Bosch table saw is a durable and precise tool with lots of handy features. Its design minimizes storage space requirements, and the build ensures high longevity. The SquareLock Rip Fence decreases waste and enhances cutting accuracy. The large capacity of the table top is appropriate for larger jobs as well. Another great feature is that is engineered for rugged use. The pros are that the table saw is fully featured for maximum efficiency and accuracy and it also delivers maximum protection. The con of this table saw is that it could have been easier to adjust, but after the first try, you’ll get the hang of it. The Ridgid table saw comes with wheels and extended handle for pulling in on the wheels. The extending table design provides a large enough working area. The blade that comes with the table saw can do its job appropriately with high accuracy and precision. The build is robust, and it can also be easily transported without problems. The pros include its lightweight, high accuracy, and great overall performance. The only con is that even of the fence is right, it should be checked before cuts. It also seems a bit noisy, but if you use it outdoors, you won’t be bothered by the noise. This job site table provides high value, and it allows you to place it anywhere on the work site. It offers high flexibility and convenience, and it manages to combine power with portability as well. You will also be able to use it in narrow spots, and this is a significant advantage. The Site-Pro Modular Guarding System allows easy adjustments. Another notable feature is that it offers efficient dust extraction. The most important pros are its portability, ease of use, accuracy and smooth performance. The table saw’s con is that it needs better bolts, but the ones it comes with manage to hold it to the stand as well. 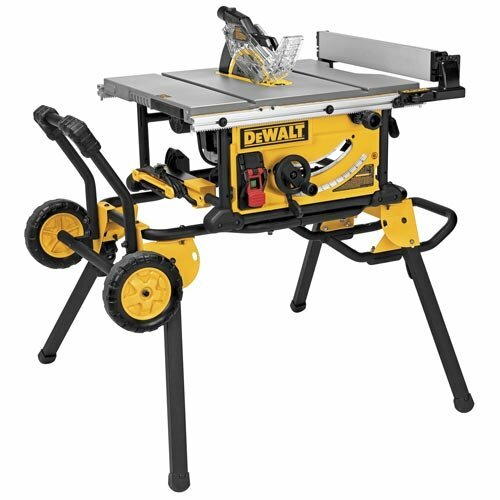 The winner of this lineup is the DEWALT DW745 10-Inch Compact Job-Site Table Saw with 20-Inch Max Rip Capacity – 120V, mostly due to its large rip capacity, powerful performance, portable design and the convenient guarding system.